In Deuteronomy 17, Moses is leaving final instructions concerning the future of Israel. As a prophet of God, Moses foretells of when Israel will place a king over the nation (v. 14). In verse 18, the king is commanded to not simply acquire a copy of the law (the entire book of Deuteronomy) from the scroll publishing house, but to hand write his own copy of the law. 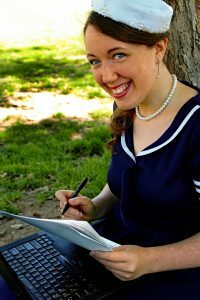 Thirty-four hundred years later, educators are discovering that students that physically write out their notes by hand have a much greater retention rate than simply hearing or visually reading the information. Apparently, God knew this to be true of the kings of Israel also. From such understanding came the conception of this series of books. I have the Journible for the book of Luke. I love it. Copying out the Scriptures, while thinking through the verses and taking notes is a great way to help imprint God’s word on your mind. The questions provided on the notes page aren’t too frequent, but they are often either thought provoking or make you consider a point that you normally gloss over. Every now and then, a question did strike me as odd – Who was Herod? – but that is likely personality type. This is not a book you can rush through. I admit, I haven’t finished yet. Writing out the entire book of Luke by hand, takes time and effort, but it’s worth it and I have every intention of reaching completion. I would highly recommend this series! 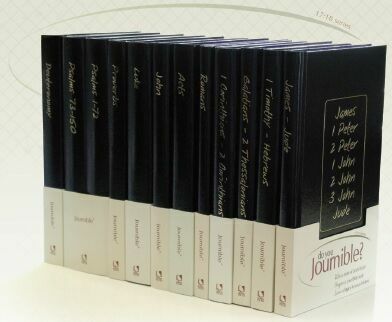 To celebrate the tour, Reformation Heritage Books is giving away a grand prize of the entire set of New Testament Journibles!! Dr. Joel R. Beeke is president and professor of systematic theology and homiletics at Puritan Reformed Theological Seminary, a pastor of the Heritage Netherlands Reformed Congregation in Grand Rapids, Michigan, editor of Banner of Sovereign Grace Truth, editorial director of Reformation Heritage Books, president of Inheritance Publishers, and vice-president of the Dutch Reformed Translation Society. He has written, co-authored, or edited seventy books (most recently, A Puritan Theology: Doctrine for Life, Living Zealously, Friends and Lovers: Cultivating Companionship and Intimacy in Marriage, Getting Back Into the Race: The Cure for Backsliding, Parenting by God’s Promises: How to Raise Children in the Covenant of Grace, Living for the Glory of God: An Introduction to Calvinism, Meet the Puritans, Contagious Christian Living, Calvin for Today, Developing a Healthy Prayer Life, and Taking Hold of God), and contributed 2,000 articles to Reformed books, journals, periodicals, and encyclopedias. His Ph.D. is in Reformation and Post-Reformation theology from Westminster Theological Seminary (Philadelphia). He is frequently called upon to lecture at seminaries and to speak at Reformed conferences around the world. He and his wife Mary have been blessed with three children: Calvin, Esther, and Lydia. This entry was posted in At the Printing Press and tagged Celebrate Lit. 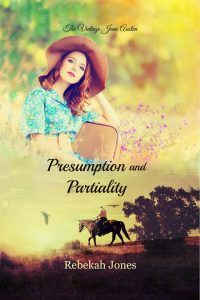 ~”Presumption and Partiality” is Live! 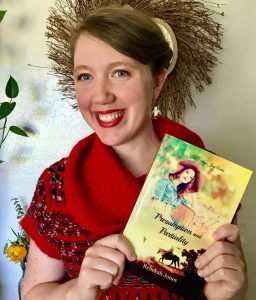 After over two-and-a-half years… I am so pleased to announced that Presumption and Partiality is officially available as both a paperback and an Kindle ebook! Isn’t it beautiful? Every single time I publish a new book, I am just as in awe as the last time. 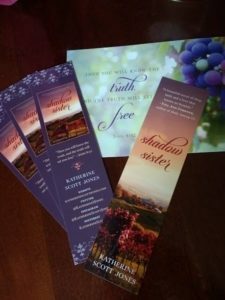 It’s an amazing, thrilling feeling to see a project, like a novel, reach the finish! So many hours of writing, prayer, editing, scrapping whole pages, prayer, typing, more editing, and even more prayer are represented by this little book. Praise the LORD that it’s reached completion! This entry was posted in At the Printing Press and tagged Presumption and Partiality. 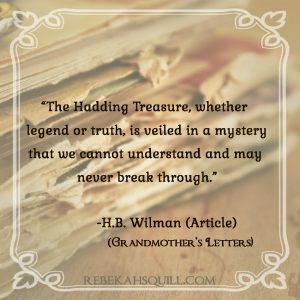 From my book, Grandmother’s Letters. 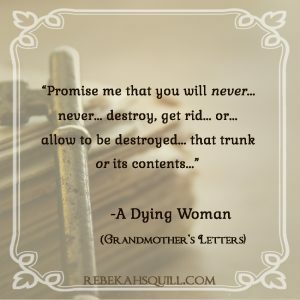 The prayers and legacy of an ordinary woman act as a thread, drawing together, among others, a curious treasure hunting girl, a miserable law student, and a grumpy old man, in the most unexpected ways. This entry was posted in At the Printing Press and tagged Grandmother's Letters, Mystery.